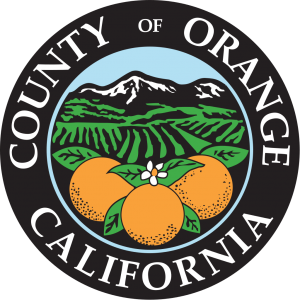 When Orange County was established in 1889, the population was approximately 13,000, and those people were represented at the County level by five elected officials (Supervisors). Since then, the population has swelled to more than 3 million people, which makes Orange County the 6th largest county in the nation. Because the population has grown exponentially, the footprint of our county government has correspondingly expanded. Currently, there are more than 18,000 people who work for the County. However, there is one part of our county government that has not changed over the last 130 years–we still only have five Supervisors. It is not normal for such a small number of elected officials to represent such a large population. For example, Orange County has more people than 21 different states. Each of those states has two United States Senators, a Governor, voluminous amounts of state legislators, and hundreds of county officials representing their interests. Within Orange County, there are several cities, school boards, and special districts, each with much smaller populations, that are represented by more than five elected officials. Our Supervisors each represent more than 600,000 constituents, which is about the same amount as an average member of Congress. Of course, members of Congress get far more attention, and we all know that Congress is important. However, each member of Congress is only one cog in a 435-person machine. To get anything done, you need a majority of 435, which is 218 votes. That means, each member of Congress represents less than 1/2 of 1% of the ability to get anything done (not counting the Senate and the President). Contrast that ratio with our Supervisors who only need 3 votes to obtain a majority. As such, each Supervisor represents 33% of the ability to get things done. However, Supervisors do not only exert influence with their votes. They also indirectly shape the county government by appointing a CEO, 28 Department Directors, and members to the 85 different Boards, Committees, and Commissions which comprise the governmental infrastructure of our county. In addition, Supervisors approve contracts, govern incorporated areas, and decide how to spend our $6.2 billion annual budget. In short, Supervisors wield a huge amount of influence, over a huge amount of people, and over a huge amount of money.